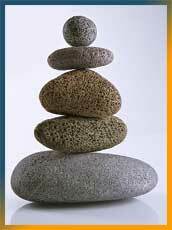 Body Minded Therapy is an alternative, holistic healing approach, developed by Jeff Greiner, LMT, of Seattle, WA. It is specifically designed to assist your your body in healing itself. By integrating Soma Structural Integration connective tissue work with specific movement exercises, Body Minded Therapy challenges clients to reshape pain patterns and create a more balanced, optimally functioning individual. "Gravity, man’s name for the energy of the earth, is the never sleeping therapist and teacher." Ida P. Rolf, Ph.D.
"Regular Soma work with Jeff has changed the way I feel on a day-to-day basis." 11 Two-hour Sessions. This full body/mind overhaul is our most comprehensive mode of treatment. Within the recipe of the Soma Structural Series, client and practitioner address specific concerns while working to improve overall body balance. Clients proceed thru the Soma Series as quickly as twice a week or space the work out to once a month. For most people, even a few sessions result in marked pain relief, improved posture, and increased body performance. Somassage combines tradtional massage techniques with Soma Structural Integration work. The net effect is a very relaxing style utilizing broad strokes in a similar sequence and direction as the deeper structural work. It is a great introduction to Soma Bodywork and is also often used as maintenance after completing the Soma Structural Series. Injury Treatment combines deep Soma Structural Work with lighter balancing manipulation and specific stretching, strengthening, and movement exercises. It provides proactive means to address particular ailments and often helps avoid surgery or other invasive measures. Whether you are pre- or post- surgery, acute or chronic, Soma Work is extremely effective as a Rehabilitation Program or a Preventative Maintenance Measure. Functional Awarweness Training involves active and passive assisted stretches on the table, bench and floor. it also includes a customized program of exercises and healing movements that can be done at home. "Soma is what I always thought massage should be."